← Addicted to golf? How do you know? 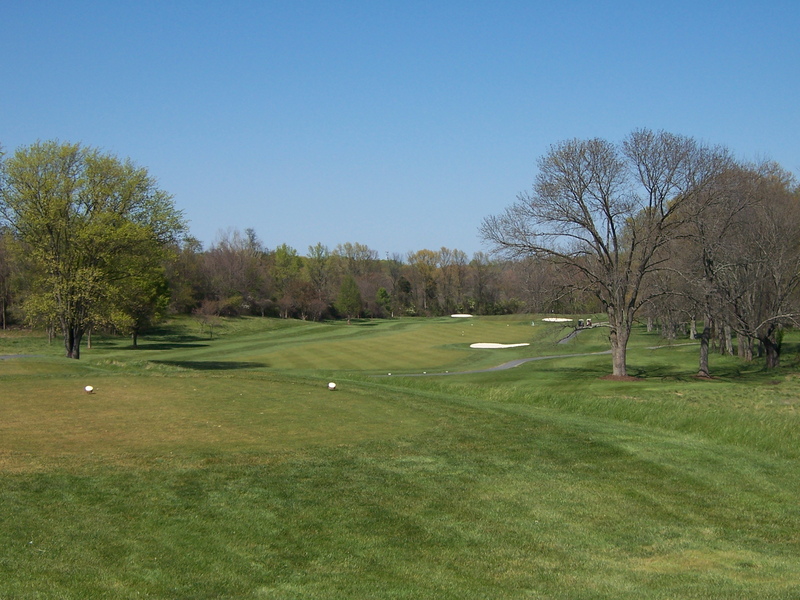 Northwest, in Silver Spring, Maryland is operated by Montgomery County Golf and has been a favorite of county golfers for many years. Previously known as Northwest Park, conventional wisdom holds that if you’re breaking out a new driver, or want to play a round where you feel like bombing your tee ball, this is your destination. The course was originally designed in the early 1960s with the thought of hosting a U.S. Open and at 7,376 yards from the tips, the length would qualify but the layout is fairly wide open and would present a minimal challenge for touring professionals. Challenges for the amateur ranks are abundant with ample length being the main defense (6,827 yards – men’s tees) and huge greens that allow for very difficult pin placements. The facility also has a par-34 “Inside Nine” that I’ve played on several occasions, which provides more challenges than your typical executive track. I played the course on Friday, April 13 and found conditions very good, with fairways and greens hard and rolling out due to lack of moisture. Nothing was burned out as the hot weather had not yet hit DC. The putting surfaces had been aerated over a month ago and were fully recovered and rolling fast. Most greens are sloped from back to front and are very large. Long downhill lag putts are commonplace and are very difficult to two-putt, but you can attack coming from the low side. If approach shots are not carried to the putting surface, they will most likely roll all the way over these greens, making this a tough track to play bump and run golf, but you can hold a well struck iron shot. After a routine first hole, Northwest hits you with four straight tough ones that established single-digit handicappers frequently play in several strokes over par, so be patient, play conservatively, and don’t get discouraged if you get off to a rough start; you will have opportunities to score. #2 is a 446 yard par-4 from the men’s tees and plays long. The front right greenside bunker is a popular landing place and should be avoided. Short left or wide left is a fairly easy place to chip or pitch from. #3 is a sharp dogleg right and is probably the toughest tee shot on the course because you need to strike your tee shot left to right to hold it in a fairway that bounces right to left. Long hitters can knock it through the fairway into some penal rough and the second shot is uphill and must be played below the hole. Putting or chipping from pin high or above the pin is hazardous. On the par-3 fourth hole, take the fat part of the green wherever they have the flag. Do not mess with the front left bunker and do not be tempted to go long if the flag is in the back. A routine par here is great. #5 can play tough if they place the pin directly behind the unique front-middle greenside bunker. In that case, a miss short right, just left of the cart path is fine. Long is dead because of the severely sloping green and in the front bunker is a poor play because you can only see the top of the flagstick. Bogey is not a bad score here. # 8 is a par-5 dogleg right 90-degrees. Go for the long tee shot by cutting the corner next to the last tree on the right and you’ll be in fine shape to go for the green in two. Avoid the front right greenside bunker as it’s an awkward stance and particularly tough play to a back flag. The par-4 ninth looks docile from the fairway but if the flag is back, take the middle of the green and putt uphill to give yourself a chance. You should attack a front pin though as the slope is not as severe. #10 is a long par-4 but plays shorter than the yardage on the approach. You can get a lot of roll on a low running iron shot that lands 40 even 50 yards out in the fairway. This is one of the few holes to try a bump and run approach. #13 is a dogleg left par-4 where the fairway runs out quick on the right and is protected by a hidden water hazard, and there are woods on the left. Take an iron off the tee or draw a fairway wood if you’re comfortable with that shot but do not hit driver here; there’s nothing to gain and everything to lose. #15 is a straight forward par-3 playing 186 yards from the men’s tees. The tee shot usually plays 1/2 club shorter than the yardage and I’m not sure why. I’ve also had more success playing from the front of the green than attacking pin positions wherever they put them. When the pin is deep, short-siding yourself from over the green or putting from pin high is difficult as the green slopes severely from back to front. 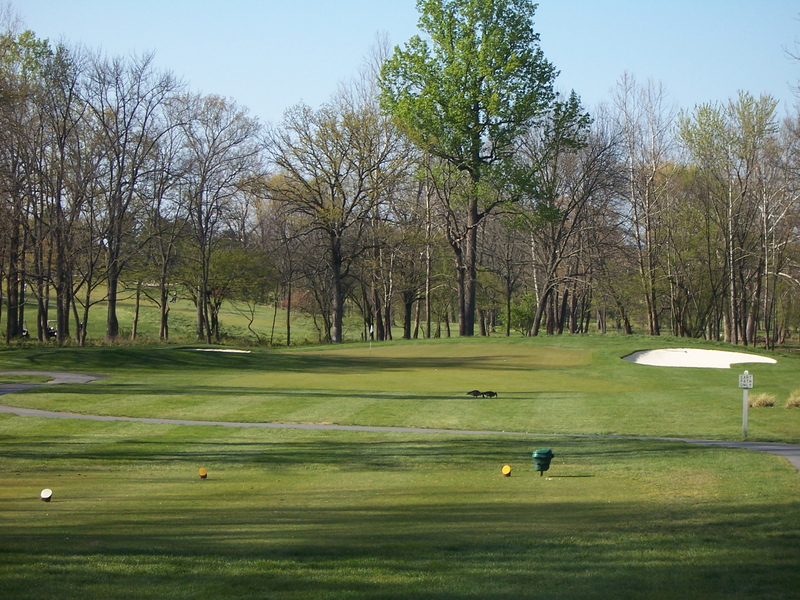 #18 is a short but tricky dogleg right par-4 with a large sycamore tree guarding the right side of the fairway. The key here is to find the fairway with any club you can hit 200-220 yards, but I’d caution against hitting driver unless you’re sure you can shape one left to right. I played on Friday afternoon and walked for $39, which I felt was a very good value. Weekend morning greens fees are $56 which are a little on the high end for municipal golf, but demand is high for starting times and when the course is in good condition, the cost is justified. During the summer, the course gets heavy play and weekend rounds can slow down in the 5+ hour range as players struggle a bit with the length. Still, if you’ve got the patience, your golfing dollars are well spent here. Northwest has a recently renovated clubhouse with a good sized pro shop and fully stocked grill. A large 40+ station driving range is available with about half the tees covered, lighted and heated, which allows for all-season practice. All hitting stations are mats only. Finally, there is a good sized fairly flat practice putting green adjacent to the first tee, but there is no separate chipping/pitching area. They do allow you to chip on the practice green. If they were to construct a separate practice green, this facility ranking would move to the upper echelons but is more than adequate. Booking a tee time is easy for any course managed by Montgomery County Golf by using their website. On the day I played, the starter proactively found me on the putting green and offered to get me out with an earlier group, which I much appreciated. If you want to get in a quick nine during busy periods, your best bet is to play the Inside Nine, as demand for the regular course is high and walk-on play without a reservation is difficult. So muscle up your driver, practice your lag putting and enjoy your day at Northwest! For the record, I played the blue tees at 6,827 yards and shot a six-over par 78. This entry was posted in Course Reviews, Washington DC area and tagged course reviews, Golf, Montgomery County Golf, Northwest. Bookmark the permalink.